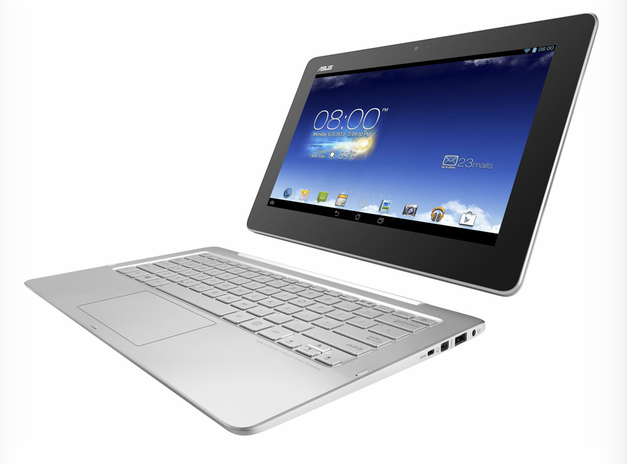 Will the Asus Transformer Book Trio Work? At Computex 2013, Asus revealed the Asus Transformer Book Trio, a product that’s truly unique in its attempt to be a three-in-one device that features two batteries, two CPUs, and two operating systems. Crazy, right? The device runs Windows 8 and Android, and users can shuffle between the two operating systems with the touch of a single hardware button. Right now, it’s the first of its kind; and that opens the hybrid product up to some initial misgivings. Still, from what we know so far, this new tablet-laptop-desktop fusion attempt looks like a solid product. Can it succeed, though? 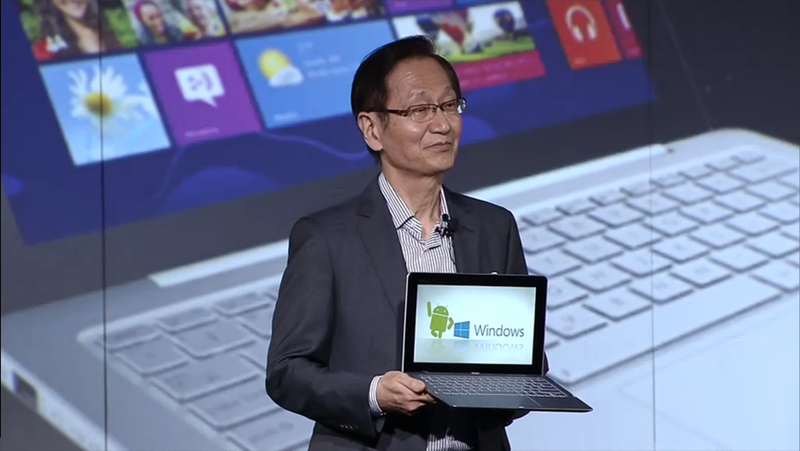 If you remember the original Asus Transformer, it was pretty much the first successful dockable tablet that ran Android. The original and its successor were known for the sturdy dock and the good keyboard layout. It had better build quality than most of other Android tablets it was competing with, and the options added by the keyboard dock helped it sell. Given the company’s success with the Transformer line, there’s good reason to believe that Asus can pull it off once again with the Trio. The company just has to keep in mind what made the first Transformer iterations so good and translate it into the different approach it’s taking with the Trio. Asus has equipped both the lid and the base with their own CPUs, processors, internal hard drives, and RAM modules. For the base, there’s a Haswell Core i7 CPU of an unknown clock speed, a Terabyte of internal storage, RAM that’s as yet of an unidentified number, and a 33 WHr battery. The tablet or lid, meanwhile, comes with an 11.6 display with 1080p resolution, a 2GHz Atom Z2580 CPU that based on Clover Trail+, a 64GB SSD, 2GB RAM, and a 19 WHr battery. Basically, Windows 8 is installed in the dock, while Android is installed in the tablet (which is why you won’t be able to use Windows in tablet mode). Windows can only be accessed when docked, but we’re assuming it is still possible to install and run Windows on the lid; but the space limitations on the tablet probably complicate matters a bit, which is why Asus didn’t go for that. What the Trio does is it gives you the chance to switch from a mobile tablet environment to a full laptop. Say, for example, that you can’t really be productive running your favorite programs (like MS Office) on Android, and this held you back from even considering the first Transformer hybrids. The Trio clearly aims to make this less of a problem. According to Asus, users can simply resume their previous activity on the two operating systems, and data can be synced. Still, there are certain aspects of this hybrid that might be problematic for users. For one, how will storage and syncing between the two operating systems be handled? Another question involves apps; since there will be many times the device is used solely as an Android tablet, does this mean then that the user will end up focusing on purchasing Android apps? The key for Asus here is to make sure that there are no hiccups as far as switching between the operating systems in laptop mode goes, and that includes having a reliable data-sync solution. Also, price will definitely be a factor here. While it should be expected that this is fairly expensive since we are practically getting two separate computers, we hope the Trio still comes with a relatively affordable price once it hits retailers later this quarter. It’s certainly a risky product for the Taiwanese company, but we’re pretty sure more than a few people will be hoping that this product succeeds. It won’t have the appeal of the iPad, nor does it compare to full-fledged UltraBooks, but this kind of gadget definitely has a market. Its success depends on whether or not it can attract mainstream buyers. I love my asus T300 and I haven’t moved to win 8. I think this is a neat concept but I don’t think it will catch on. Not being able to use windows as a tablet will be a large limitation.